Showing all traits of being techies, we came up with a very sound plan for our trip. On the eve of the inception of our journey all three of us (Ambuj, Pavan and Shravan ) acquainted ourselves once again with the plan and parted with the agreement on starting at 4:30 am next morning. very excited and thought of night out but was unable to stick to it and went to bed at around 2 am. I was very afraid that I am going to be the reason if delay happens. But next morning Pavan called at around 4:15 am. Surprisingly I was awake and expecting the call. Then came the time to face the truth, our main planner Mr. Shravan, who made us all commit to stick to the time constraint and gave the rest two of us a call to bring (the most obvious thing) our water bottle at about 10 pm, was still sleeping. He did not even wake up from the call which Pavan gave him. Then we decided to directly barge into his room sensing something wrong coming up. We were a little annoyed by this irresponsible lazy act of our captain but it was not a good time to show anger, so we did nothing but took his captaincy away and started having fun in the situation. We finally started at about 5 am. We boarded the bus to Bangalore City Railway Station from electronics city. I was really surprised to see the crowd at that time in the bus. I was expecting a lot lesser. Suddenly Shravan gave me a small diary, and I really felt that I was in need of the same. Actually I do not enjoy making memories from outer means like photos mainly. I enjoy the present moment and remember the happiness within the hard disk of my brain. But I do like writing. And the idea of making notes of important points during the journey seemed interesting. I thanked Shravan for that and told him I am never going to return it to him ever. Finally we reached Bangalore City Station and found hampy express which started at around 7 am from the station. Our plan was to first make a stop at Shrirangpatna station which comes before Mysore but this train was not scheduled to halt here hence we decided to get down at Pandavpura. During our train journey we talked about so many other tourist places. Shravan and Pavan were telling stories about their past travel adventures. I was only listening because I had no such prior experience which could be mentioned in the discourse. At around 10 am when I was dozing off, someone’s voice breached into my ears saying “this is Pandavpura”. The reaction was instantaneous all three of us took our bags and started walking up to the door and suddenly but slowly train started, I was the last one and I think the most impatient one too. When I reached at the doorsteps, I was shocked to our bogie was not even on the platform and train was running (slowly) and my two other friends were already on ground. But finally I managed to get down with a little jump keeping all the laws of physics and safety measures under consideration (and the train was really slow). We went out of the station and took a bus to Shrirangpatna. Inside the bus I took a seat next to window to take advantage of the beauty of nature. I still remember a soothing bhakti song was being played in the bus in Kannada. I was only able to understand the names of Gods and Goddesses but still I was enjoying the feeling of being on a trip all by myself. 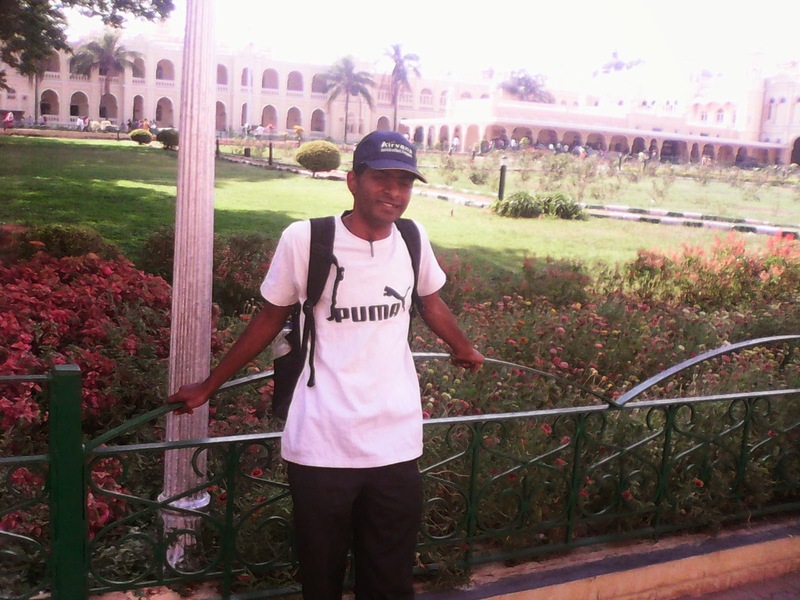 After reaching Shrirangapatna , we first went to Summer Palace of Tipu Sultan known as Daria Daulat Bagh(Garden of Wealth). This was our first place on our visiting list. It is a small palace surrounded by a large compound. Inside the palace amazing paintings from the glorious time of Tipu are kept. We were mesmerized by the old equipments that are still present there to tell the story which words can never express. Then we arrived at the mosque of tipu and his family members. 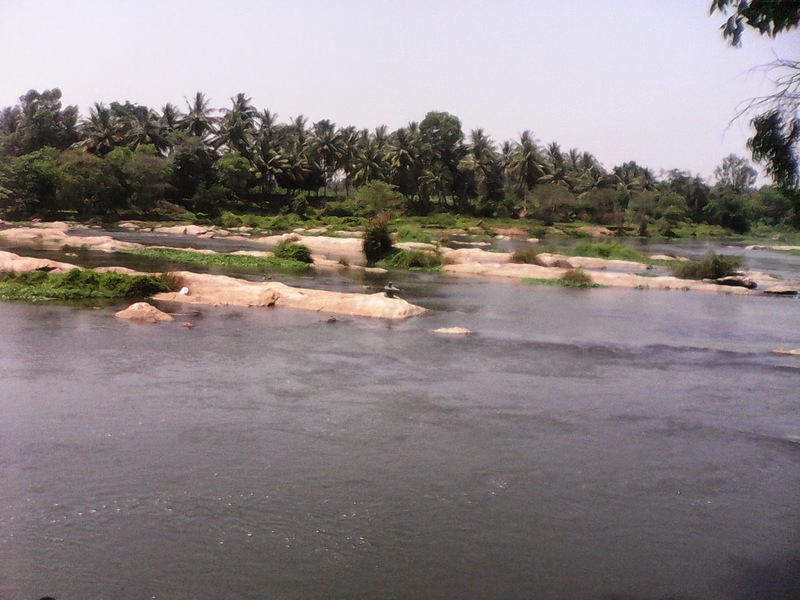 From there we came to the Sangam of the three holy rivers Kaveri, Kabini and Hemavati. I still remember the cold touch of the holy rivers that rejuvenated our energy levels for the further exploration and journey. 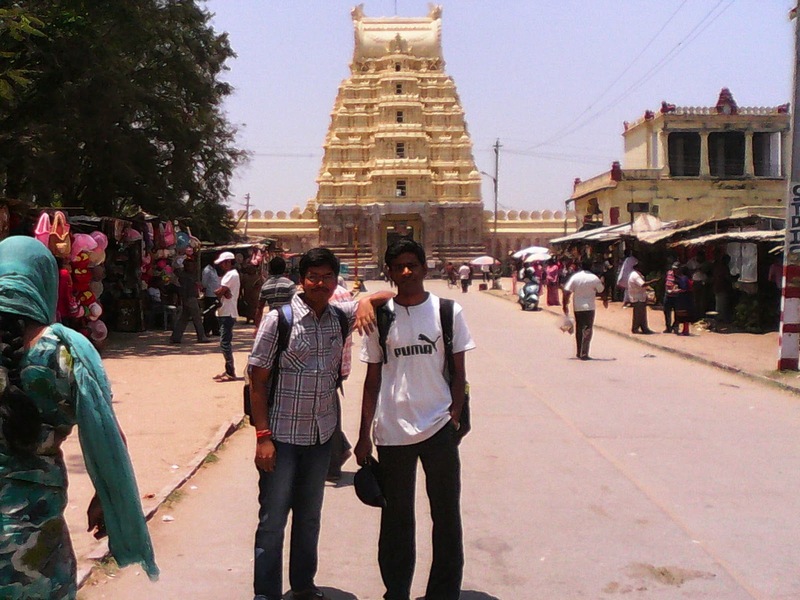 Ranganath Swami Temple was our last spot in Shrirangpatna. 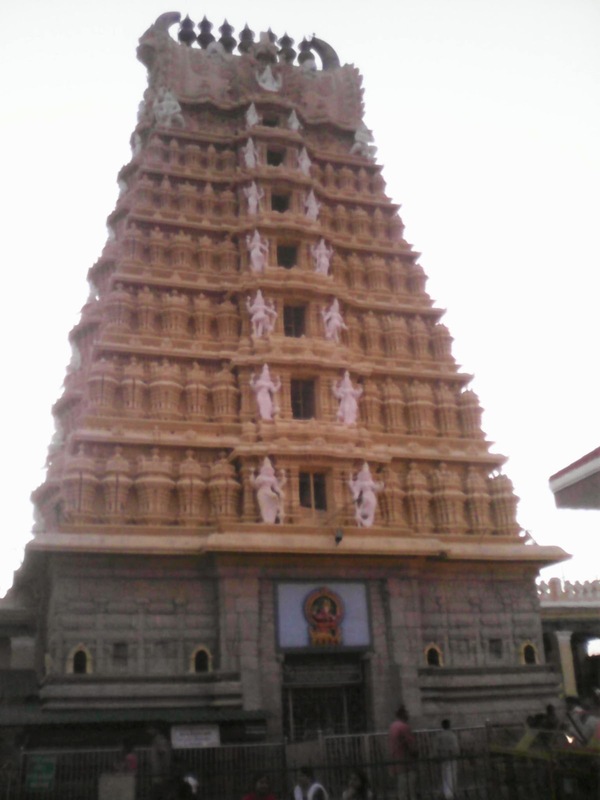 After darshan in the temple, we came to the bus stop for the bus to Mysore. And thanks to the availability of air conditioned Volvo on that route, we were able to take advantage of the short nap during the journey which was a real relief at that time. 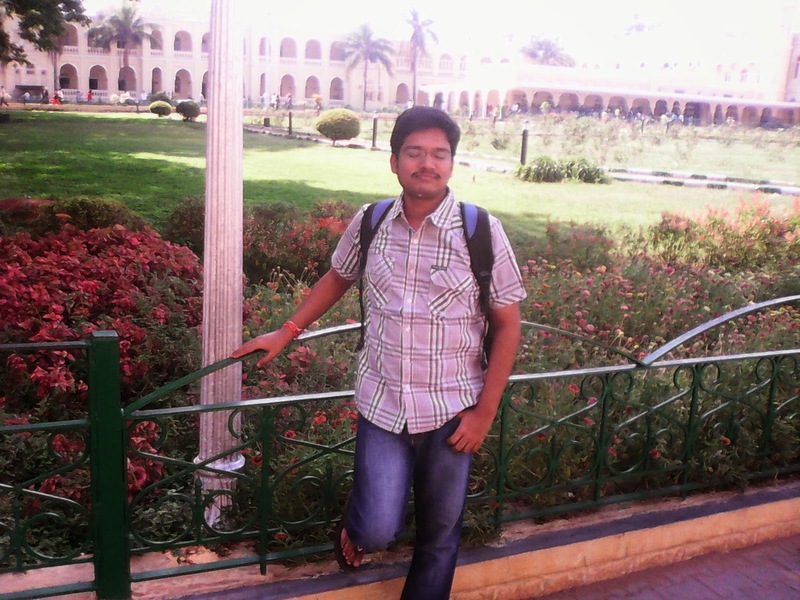 This was my first visit to Mysore so curiosity made my nap even shorter. We entered the palace city. The first look of the city from inside the bus made us all feel very pleasantly surprised. It is really a beautiful place. Whole city looks like a palace in itself. 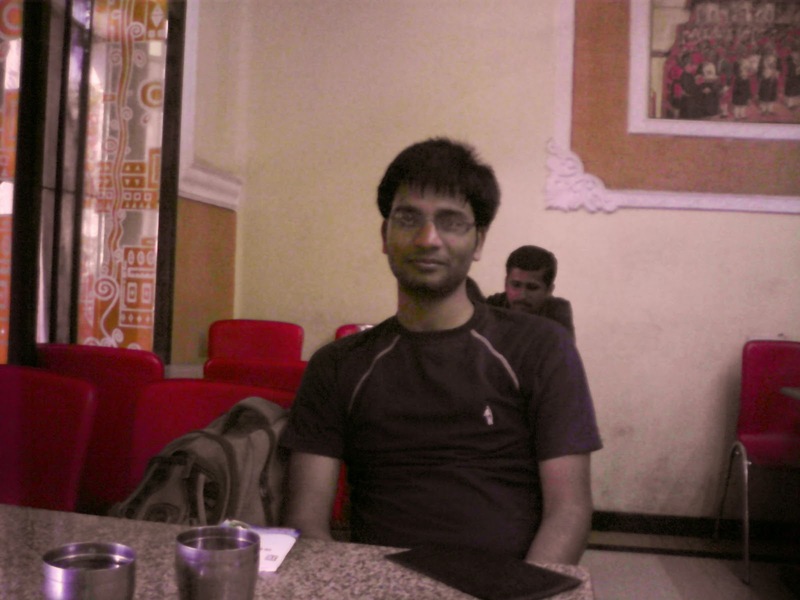 Pavan came up with the idea of comparing with Gandhinagar during our discussion. 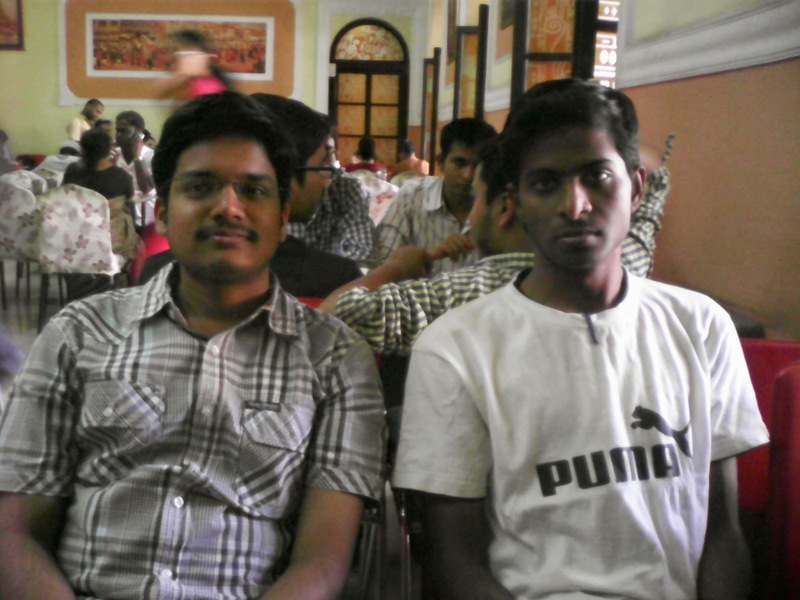 Pavan and I were at the same place and time near Gandhinagar few months back but were unaware about each other. We came to know about this fact during one of our discussions few days back. As soon as we got down from the bus we launched our search for a restaurant which culminated when we landed up on Café Aramane which is on the road between the bus stand and Mysore Palace. We found a unique style of the things in the city and the same was the experience when we entered the restaurant. We spent a good time there. Ambience was tranquilizing. Personally I am a fan of south Indian food. We were feeling a little lazy but we had no time to enjoy laziness. We came out of the hotel but something very disturbing was waiting for me. There was a weighing machine kept there. I don’t know what came to my mind I approached to it with my naive steps. We all measured our weight. And I think I did it after really a very long period of time. The result of my measurement that I witnessed there still makes me diet and exercise, the two things that I am not a fan of, for sure. 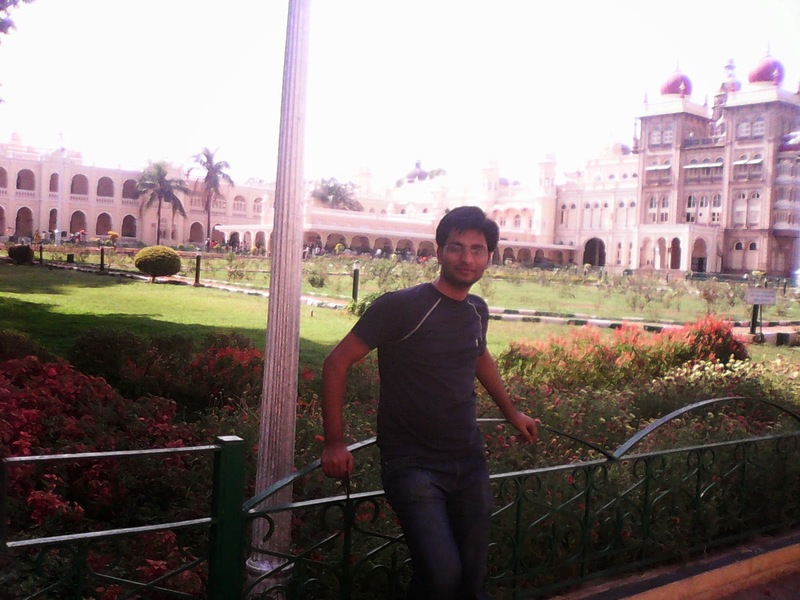 After that we went for the main attraction of the city that is the Mysore Palace. The palace is the genuine example of the engineering expertise existing at that time and also the wealth of the kings and their family. It is filled with a lot of epic paintings. Everything is very big. We explored each and every corner of the palace with different kinds of thoughts roaring into our minds. Although it is one of the best examples of the human effort but in itself it contains a lot of questions. With the idea of not indulging myself into deep analysis and spoil the exploration experience I ignored the heavy thoughts for that particular time. I forgot to mention that we had already started feeling by this time that the city is very less costly in all terms as compared to anywhere else. And the idea was well supported when we found a descent room in a hotel which was in the heart of the city (near to palace) at a very reasonable price. 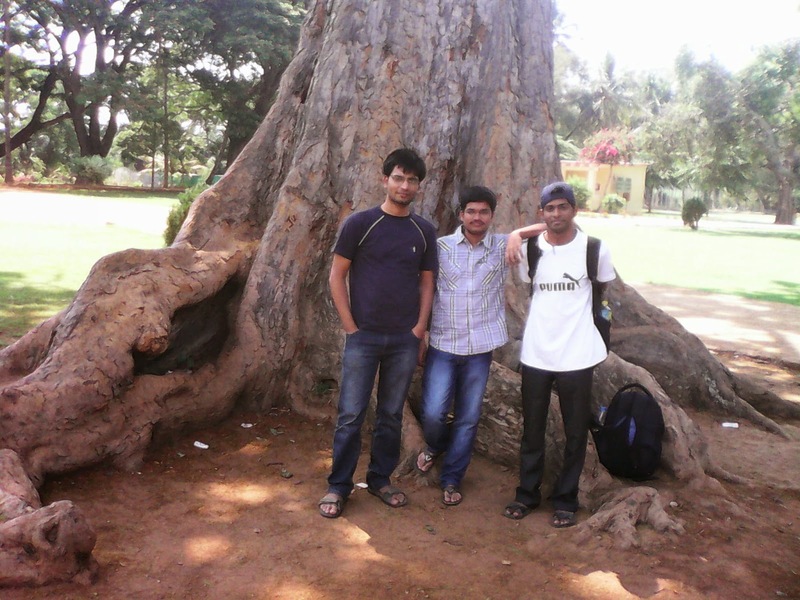 We took rest for sometime there and planned our next spot which was Chamundi Hills. After sometime in the evening we went to bus stand for the bus to Chamundi hills. We found public services to be very well managed in that city. Our journey started in the from the bus stand within few minute of our arrival at the bus stop. While the bus was moving I saw several signs for several other places that could have been great spots to visit but we had no time left in this trip to accommodate any of them. Inside my mind I was planning other trips for this city at that time. There was a large group of youngsters inside the bus who were very happy and excited. And they were making all sorts of noise that they can, which was nothing but their excitement coming out in various forms. But my calm mind was enjoying even the noise. We three were enjoying the moment and no one was talking in our group. Finally conductor had to stop them when their noise started disturbing the whole bus. And then after sometime hill road started, this was my first time on such a road. We were rising up and up with time. I was feeling thrilled. Then suddenly I realized that we were at enough height from where the whole city is visible. It was all very new to me. 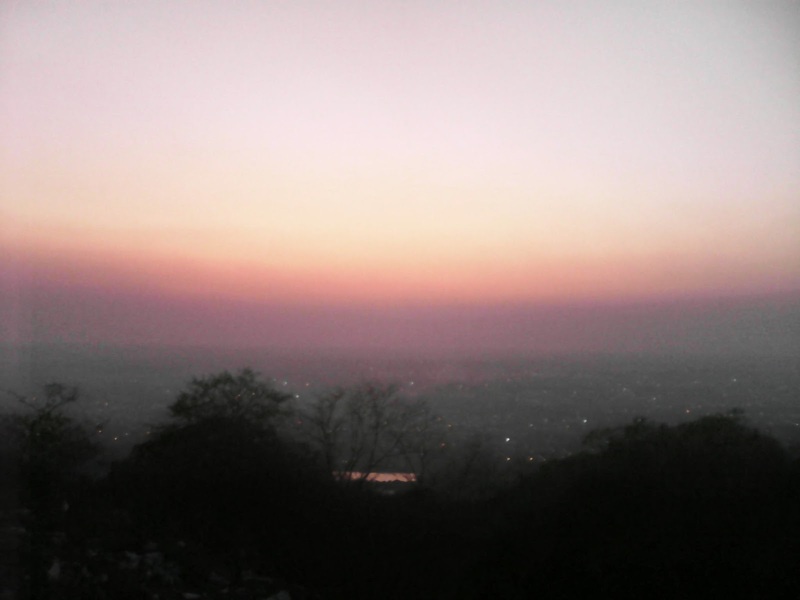 Before reaching to the hill, there is a spot which gives a very nice view of the city. We were on the bus so unable to stop there, hence decided to walk back to that point if possible. Just after getting out of the bus we asked for the time of the last bus and came to know it was about 9 pm. Scene from there was awesome. You feel like sailing into the nature’s lap. And also the temple from outside was giving us a very serene radiance in that ambience to imbibe. We headed towards the temple gate and came to know that it opens at 7:30 pm. So we had a little time. I would say an adventurous Idea struck in our mind. We started walking back towards that spot which we marked while coming from the bus. I am terming this idea adventurous because it was already a little dark and we were the only three persons walking down the hill along with all sorts of vehicles. Finally we reached at that spot by walking at least more than 2 kms I guess. 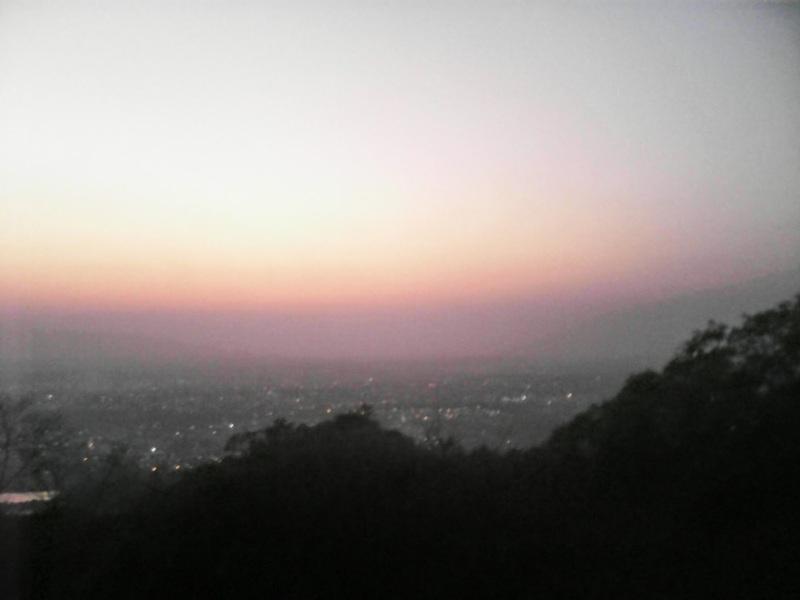 It was an amazing view from there. We spent 15-20 minutes there in calm and serene environment. Whole city with all its lightening was visible from that hill spot. We watched it for some time. We were able to distinguish the lightening of the palace easily from there as it was giving a unique appearance with the entire city lightening around it. 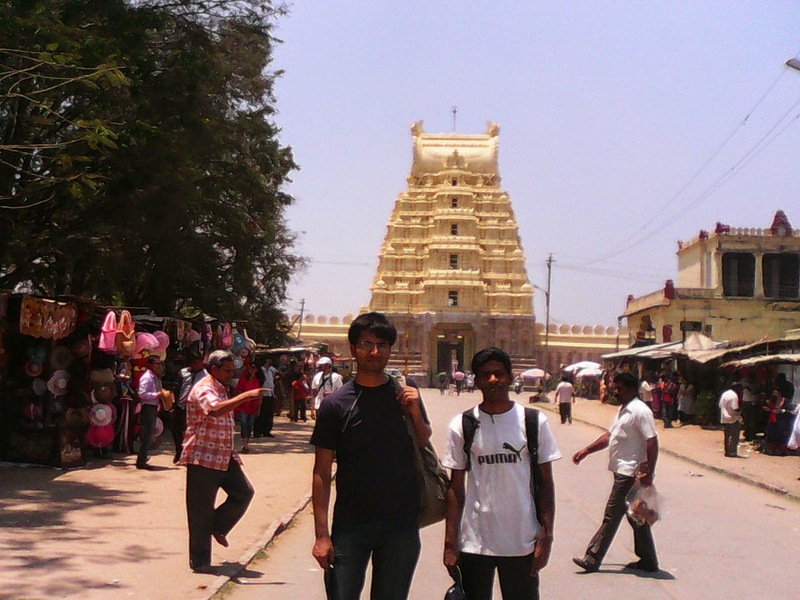 We headed back for the Chamundi hill temple. It was quite a walk while returning because we were already pretty tired and now we had to go up on the hill in the dark. After reaching there we went into the temple, came out after darshan and fortunately were able to take the last bus going for the city. Time was really flowing like water down the hill. The bus was loaded with crowd. We had to stand with so many others sitting and standing along with us. Thanks for sharing wonderful experience. Thanks for taking time to read and comment Santosh. As every year many thousands of tourists visit the town, therefore, hotels in Mysore is the prime need and there are number of hotels and lodges are available. In Mysore, you will get number of hotels that ranges from budget to five stars and these hotels provide excellent facilities to their customers. You will get some of the best budget hotels in every region of the city. Nice trip. Thanks for sharing your trip experience. 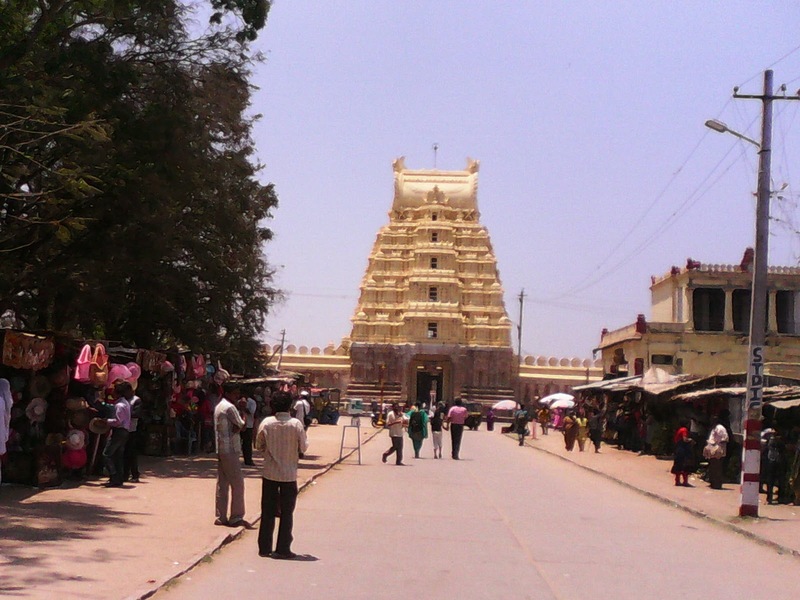 Mysore is fabled to have been come into existence after the goddess Chamundi slayed the vicious demon, Mahishasura. 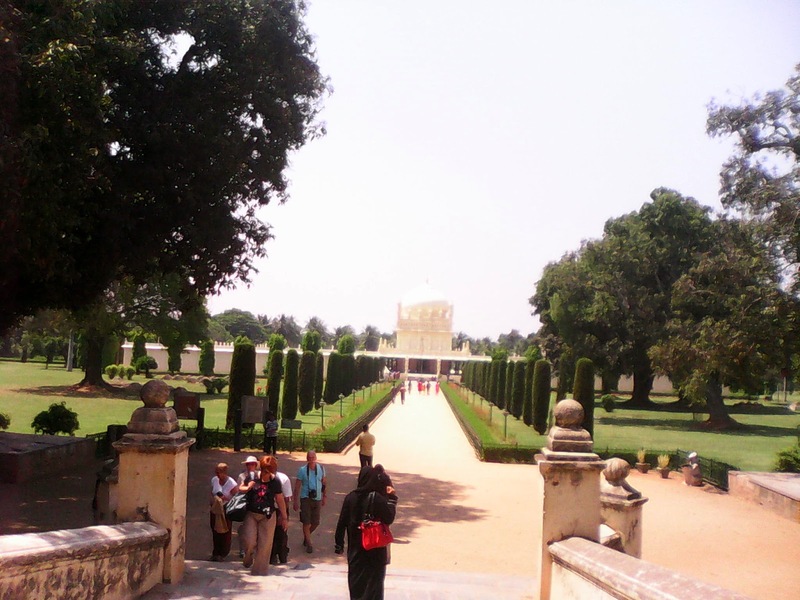 The famed home to Tipu Sultan, Mysore is a city replete with royalty and regalia. Check out all best Mysore hotels.